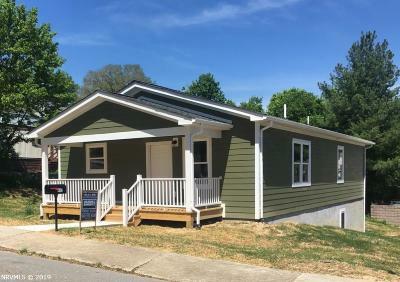 This is a wonderful newly built home right in the heart of downtown Pearisburg. If it is worry free living you looking for then look no further. Everything in this wonderful home is new! The home features a open living concept with beautiful laminate flooring throughout the main level. The kitchen features all stainless steel appliances and the cabinet drawers all have slow close feature built in. The master bedroom is is a fantastic size that has its own en-suite and his and her closets. Also on the main there are the other two large bedrooms that share a hall bath. Once downstairs you will find its a blank canvas to turn into what ever you would like to down the road. There is a very large partially finished laundry/utility room in the basement. Directions: From Wenonah Ave Traveling Into Town Go Strait Thru The Stop Light A Main St. Home Is On The Right.